It is time to take a dip in the woods. In this April 18, 2019 (4.5 minute read) by The Walrus, “Is a Walk In The Forest Better Than a Trip To The Doctor?” we consider the immersive experience of connecting with nature. A Japanese treatment that is becoming mainstream. 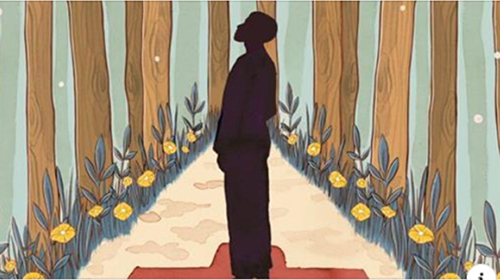 Forest bathing melds nature with mindfulness by eliminating mental irritants which constantly tug at our sleeves in the digitally connected world. “It contributes to our overall physical and spiritual health, having a place where we can walk right down to the river and be immersed in a natural setting,” says Shelley Charles, dean of Indigenous education at Humber College. However, walking into the woods instead of the pharmacy has yet to be fully embraced by the medical community, even though the practice can work in tandem with conventional medicine. Urban life brings all sorts of conveniences but from time to time it is worth remembering our roots (pun intended) and communing with nature for a little therapeutic restoration. It is very likely that most of those following NHPPA (“the NHP tribe”) acknowledge and practice this treatment. It is not a trending concept, nor something that requires double-blind, placebo-controlled clinical trials to adopt. We just get it. It is already a way of life. Traditional Chinese Medicine. Every TCM principle, theory, and healing practice reflects and harmonizes with the relationships that exist within natural law. It is a system of medicine that is at least 2300 years old. Rather than acknowledging TCM, it has been met with ill-advised barriers constructed by regulators. Practitioners are facing another major threat to their professional capacity and their patients will suffer for it. Traditional evidence for efficacy claims, potential loss of the compounding exemption and unreasonable fines hang in the balance. 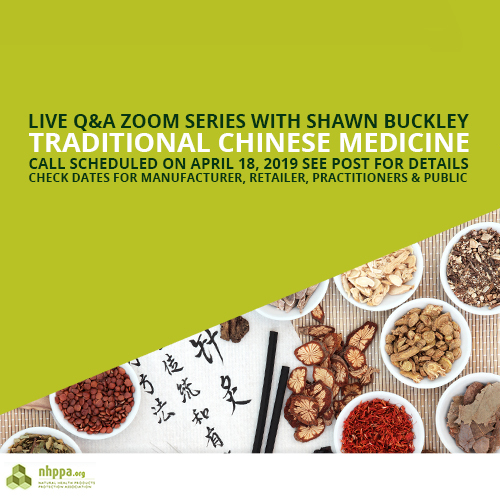 Shawn Buckley will share why these changes impact TCM’s principles and practices. Join us to discuss how the proposed regulations disconnect the integrated whole TCM works to restore. The Self-Care Framework is complex and confusing. Shawn has the knowledge and experience to discern how limited our freedoms will become. This invitation is extended to all professionals working in TCM. Share and be there! More calls are scheduled in NHPPA’s Q&A Zoom Call Series with Shawn Buckley! Holistic Nutritionists. Our Live Q&A Zoom Call series continues with an increasingly recognized profession in the natural health field. Holistic Nutritionists skillfully blend the wisdom of ancient traditions with evidence-based research to produce healing protocols based on individual biochemistry. Health Canada’s proposed regulations will make the access of important tools for even moderate conditions uncertain for these practitioners. 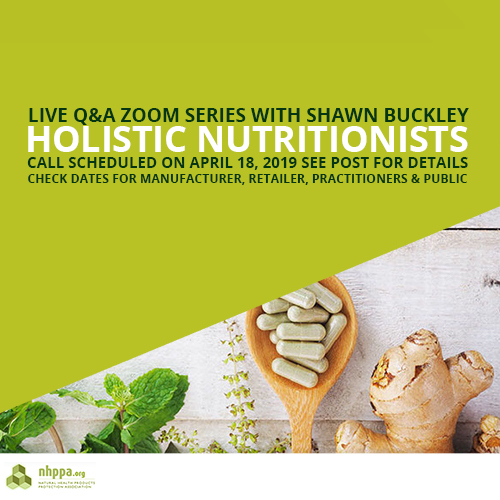 Shawn Buckley will open the call with an analysis of how these changes could impact the principles and practices of Holistic Nutritionists. Join us to hear a sobering point of view about the current regulatory landscape and threats to natural health community. The Self-Care Framework is complex and confusing. Shawn has the knowledge and experience to read between the lines and assess how limited our freedoms will become. This invitation is extended to all professionals working in Holistic Nutrition. Share and be there! More calls are scheduled in NHPPA’s Q&A Zoom Call Series with Shawn Buckley! Whether you’re a manufacturer, retailer, practitioner or member of the public — choose one that speaks to you! 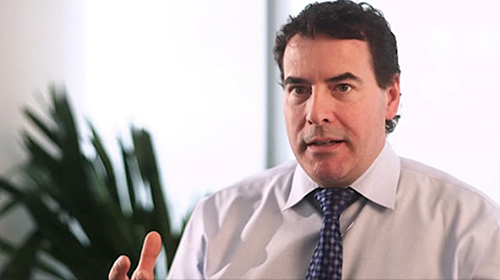 PROTECTION AGAINST FRAUD In this tenth 0:54 minute video of a 21-part series, Shawn Buckley explains Section 10 of the Charter of Health Freedom, “Protection Against Fraud”. This section charges the Ministry of Wellness with the responsibility of protecting Canadians’ against fraud, and makes it illegal to be fraudulent in the manufacturing or marketing of natural health products or modalities. While natural health products are presumed to be low-risk as per the Charter, it is important to have a governing body ensure no one capitalizes on this reputation for mischievous gain. Section 10 protects Canadians against being deceived or misled in the marketplace. Canadians will rely on the Charter of Health Freedom to safeguard their access to healing treatment options through regulation by the Ministry of Wellness. Section 10 gives Canadians the confidence that the products they access are what they say they are. 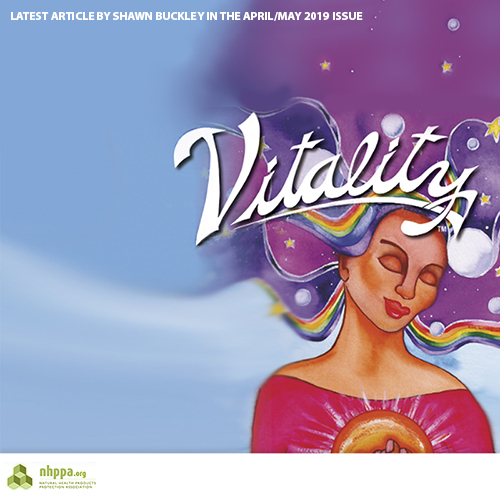 As the author of this standalone Act, Shawn Buckley makes clear the key features of each section. He breaks down the proposed legislation into language that everyone can understand. We are already anticipating the 11th clip where Shawn will discuss Protection Against Adulteration. Make no mistake. “If the Self-Care Framework becomes law, our right to decide how we wish to prevent disease and treat ourselves when we are ill, will be lost.” You would think that we would have posted this the day of release, April 2, 2019. 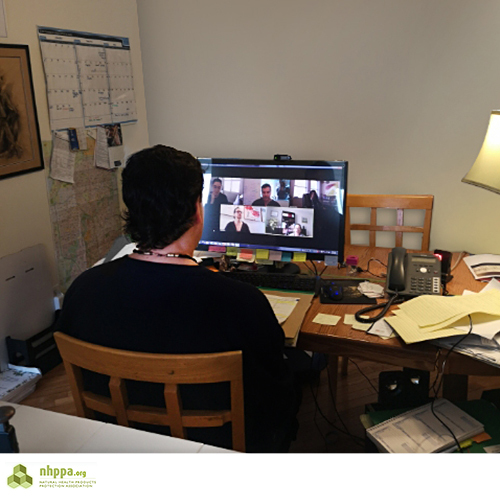 It has been non-stop at NHPPA, serving up postcards across Canada and holding national Zoom calls. Nonetheless, here it is! Shawn Buckley’s latest effort to rally the country and amplify action. MINISTRY OF WELLNESS In this ninth 1:27 minute video of a 21-part series, Shawn Buckley explains Section 9 of the Charter of Health Freedom, “Ministry of Wellness”. This section creates the Ministry of Wellness, a governing body separate from Health Canada, responsible for regulating natural health products, traditional practices and low-risk healing modalities. 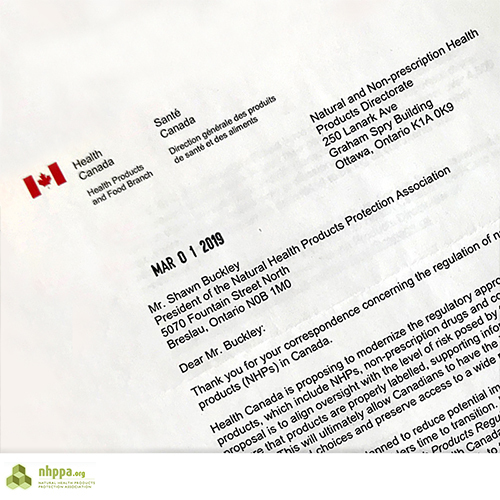 The Charter of Health Freedom respects Health Canada as the evaluator of new chemicals that are not in the food supply, while the Ministry of Wellness protects and widely promotes access to low-risk alternative modalities. The divide with Health Canada will result in different protocols, different regulatory rationales and a distinctly separate culture innate only to the natural health stakeholders. As the author of this standalone Act, Shawn Buckley makes clear the key features of each section. He breaks down the proposed legislation into language that everyone can understand. 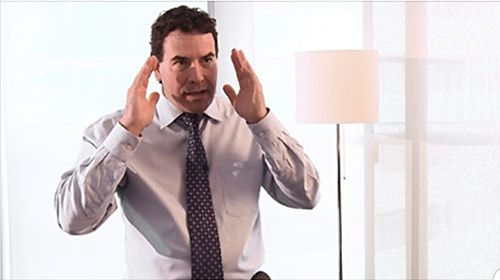 Protection Against Fraud is the content of the tenth clip where Shawn will discuss how the Charter protects Canadians from unlawful manufacturing or marketing practices. Herbalists and NDs. Two respected experts in areas of natural medicine who address health conditions at their root and restore the function of the whole person. Long established wisdom blends with modern science while the practitioner guides their patients to optimal health. Claims, ability to treat even moderate conditions and traditional evidence for efficacy are only a few areas where Health Canada’s beliefs will make the future for these two specialists uncertain. 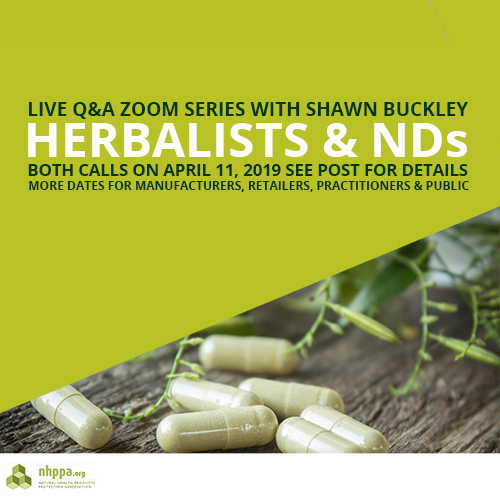 Shawn Buckley opens the calls with his insights on how the new regulations could impact the principles and practices of Herbalists and NDs. The Q&A Zoom Call Series continues with two more sessions. Join us to hear candid (and habitually accurate) points of view about the current regulatory landscape and threats to natural health community. The Self-Care Framework is complex and confusing. Mr. Buckley has the knowledge and experience to cut through Health Canada’s language, read between the lines and decipher how limited our freedoms will become. This invitation is extended to all professionals working as formulators and practitioners in herbalism and naturopathy. Share and be there! We weren’t part of the “extensive consultations with interested stakeholders to gain their perspectives”, were you? See page two, first paragraph. Please let Manon Bombardier, Director General at Health Canada (and the Natural and Non-Prescription Health Products Directorate) know that you’d like Shawn Buckley to be consulted. Perhaps a request to share the voices of over 97,000 individuals who have signed the Charter of Health Freedom petition? Her phone number, email and mailing address are in the linked letter below. Written in response to a communication about our concerns about the Self-Care Framework. It’ll help to ask her to have audience with him nicely! 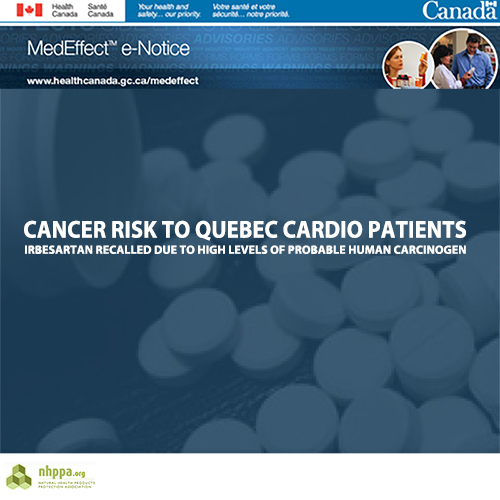 On March 14, 2019 Health Canada released a MedEffect Notice advising of an additional recall of two lots of irbesartan tablets dispensed in Quebec sourced from Teva API India Ltd. This is the first notice we have seen that isolates Quebecois patients as those affected by these tainted sartan drugs. This is the latest in an ongoing series of MedEffects detailing recalls of sartan drugs due to nitrosamine contamination from N-nitrosodiethylamine (NDEA). Canada has seen recalls since July 2018 indicating the presence of known carcinogen N-nitrosodimethylamine (NDMA) and probable carcinogen NDEA in products used to manage cardiovascular symptoms related to high blood pressure, stroke, heart failure and heart attack.